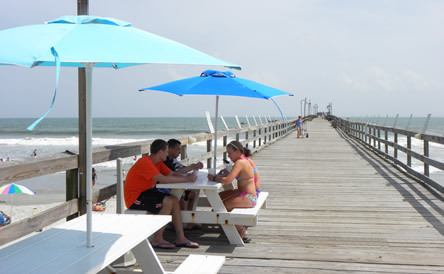 In addition to being an exceptional fishing spot, the pier "wears many hats." 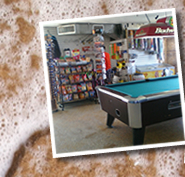 It's also a convenience store, beach store, bait and tackle shop, snack bar, pool hall, souvenir shop and bar & grill. So if you kids are looking for a bucket and shovel, Pop-Pop is looking for a new fishing pole, Aunt Mary wants a Sunset Pier sweatshirt, Dad wants a beer with lunch, Little Billy needs a (clean) restroom, Your teens are in the mood for a game of pool, Grandmom wants an icecream sandwich and Mommy needs some more sun block and a new pair of sunglasses, you're in the right place! 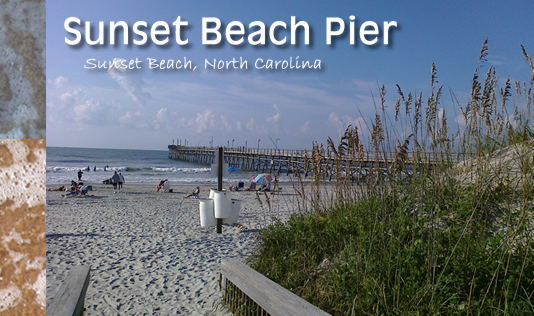 We have it all and we're right at the beach. 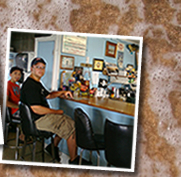 air-conditioned building or cafe-style right on the pier. See our menu.